Shares of IBM fell in pre-market trading despite an earnings beat. IBM reported fourth-quarter earnings after Thursday's closing bell that beat analysts' expectations. The company reported growing its revenues from the year before for the first time in 23 quarters. 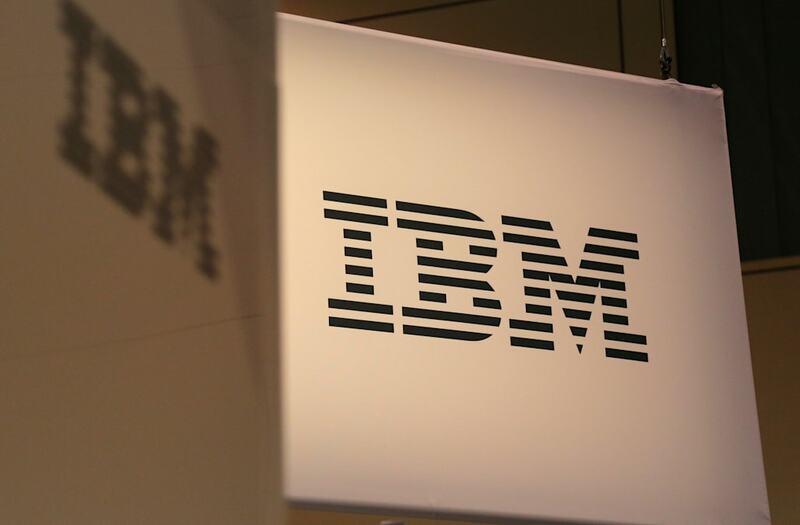 View IBM's stock price here. Shares of IBM slid in pre-market trading on Friday despite reporting profits that beat analysts' expectations. The tech giant reported a monumental quarter, breaking a 22-quarter streak of declining revenue. It reported $22.54 billion in revenue, up 4% from the same time last year. This was ahead of analysts' expectations of $22.05 billion. Yet enthusiasm on Wall Street was muted after it reported a loss of $1.14 per share versus $4.73 earnings per share in same period a year ago. This was likely on account of a one-time tax charge of $5.5 billion related to the GOP's tax reform law. IBM is seen as one of the companies that will benefit from tax reform because of a one-time tax holiday, designed to incentivize companies that garner much of their profits overseas to bring cash back to the US at a lower tax rate. IBM's stock was down 3% at $163.99. It was up 5.96% for the year. Read more about how IBM is jumping on the blockchain bandwagon.